Public discourse today suffers from a startling number of self-proclaimed victims. Everybody has a viewpoint, and whatever view that is, each person thinks it’s an endangered minority opinion. Let’s take the unsurprising example of Eagles coverage. If you have a positive outlook in the team, you probably feel hemmed in by the negativity demonstrated on the radio and in newsprint. On the other hand, a negative observer reading pro-Eagles coverage in the national news or seeing a positive spin coming from the front office feels the need to shout their views from every possible rooftop and unfilled Philly.com comment box. Mostly this kind of rhetoric passes in the night and we all go about our business. The problem comes when everyone’s a paranoid victim, lumping analysts together with partisans, treating reasonable arguments as opportunities to accuse rational folks of unfair bias. Lets just put it out there: sometimes the facts have a decidedly anti-Eagles bias. Sometimes it’s the opposite. You can choose to trust the people who always agree with your natural tendencies toward positive spin or pessimist judgments. That’s your right. But then, don’t expect to be happy here. I’m not going to cater to anyone’s opinion other than my own, nor am I going to neuter my conclusions to preserve a fake semblance of objectivity. Feel free to debate with me, that’s healthy and important, but don’t complain about some perceived bias. When I look at the evidence and think it warrants a Super Bowl outlook, I’ll tell you. When the data says the Eagles are flailing, I’ll tell you that too. I’m often wrong, and sometimes right, but either way I’ll do my best to sift through the chaff and tell you what I think is important. If that’s not the type of commentary you value, the door is only one click away. And for the rest, I’m happy to welcome you to this humble corner of the Internet. 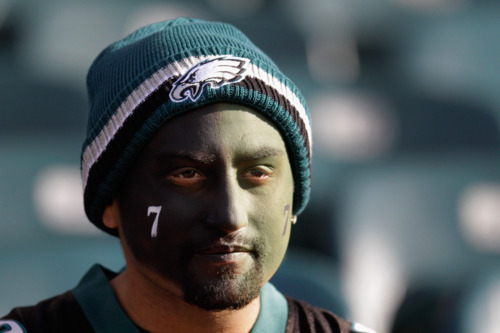 Tagged with Philadelphia Eagles, NFL, Optimism, Pessimism, Bias, Comments. January 12, 2012 by Brian Solomon.